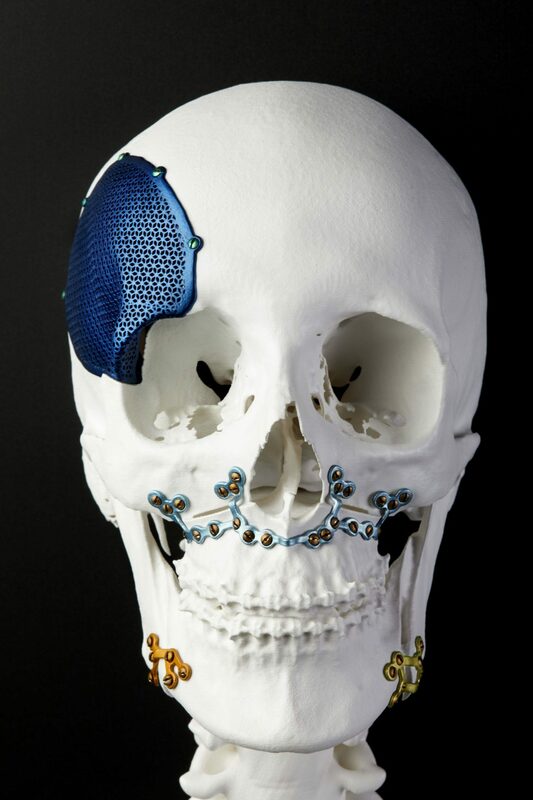 3D printing is revolutionizing facial reconstruction. Creating an exact replica of a patients face, surgeons are able to create replacement pieces that are an exact match to the injury. Only the most seriously injured — whether by trauma or disease — end up in Lantieri’s office at Paris’ Georges Pompidou Hospital. The plastic surgeon has been repairing deformities since 1994. In 2010, he and his team carried out the world’s first full face transplant. That’s starting to change. Today, when Lantieri heads into the OR, he has a customized repair kit tricked out with titanium plates that are exact replicas of the patient’s own bones and screws that have been hand-fitted to secure existing bones to the new replacement parts. The 3D printing builds the parts from titanium powder. Lasers melt the powder and shape it into each patient’s one-of-a-kind “bone.” No matter how jagged the edge of the remaining bone is, the printer can make an exact match. Some replacement pieces are extraordinarily complex, such as those made to replace bones ravaged by disease. Because the pieces are going into human bodies, they need to be flawless. Although the 3D printing method means spending more time in the planning stages, it makes the operation itself much quicker. That’s good for the patient, the doctors and the pocketbook. Less time in surgery means less expense.